A common task in Python (especially while testing or debugging) is to redirect sys.stdout to a stream or a file while executing some piece of code. However, simply "redirecting stdout" is sometimes not as easy as one would expect; hence the slightly strange title of this post. In particular, things become interesting when you want C code running within your Python process (including, but not limited to, Python modules implemented as C extensions) to also have its stdout redirected according to your wish. This turns out to be tricky and leads us into the interesting world of file descriptors, buffers and system calls. When this code runs, the actual print calls within the with block don't emit anything to the screen, and you'll see their output captured by in the stream f. Incidentally, note how perfect the with statement is for this goal - everything within the block gets redirected; once the block is done, things are cleaned up for you and redirection stops. Err... no good. The prints got redirected as expected, but the output from puts and echo flew right past our redirector and ended up in the terminal without being caught. What gives? To grasp why this didn't work, we have to first understand what sys.stdout actually is in Python. This section dives into some internals of the operating system, the C library, and Python . If you just want to know how to properly redirect printouts from C in Python, you can safely skip to the next section (though understanding how the redirection works will be difficult). File descriptors allow sharing open files between processes (for example when creating child processes with fork). They're also useful for redirecting from one entry to another, which is relevant to this post. Suppose that we make file descriptor 5 a copy of file descriptor 4. Then all writes to 5 will behave in the same way as writes to 4. Coupled with the fact that the standard output is just another file descriptor on Unix (usually index 1), you can see where this is going. The full code is given in the next section. File descriptors are not the end of the story, however. You can read and write to them with the read and write system calls, but this is not the way things are typically done. The C runtime library provides a convenient abstraction around file descriptors - streams. These are exposed to the programmer as the opaque FILE structure with a set of functions that act on it (for example fprintf and fgets). FILE is a fairly complex structure, but the most important things to know about it is that it holds a file descriptor to which the actual system calls are directed, and it provides buffering, to ensure that the system call (which is expensive) is not called too often. Suppose you emit stuff to a binary file, a byte or two at a time. Unbuffered writes to the file descriptor with write would be quite expensive because each write invokes a system call. On the other hand, using fwrite is much cheaper because the typicall call to this function just copies your data into its internal buffer and advances a pointer. Only occasionally (depending on the buffer size and flags) will an actual write system call be issued. With this information in hand, it should be easy to understand what stdout actually is for a C program. stdout is a global FILE object kept for us by the C library, and it buffers output to file descriptor number 1. Calls to functions like printf and puts add data into this buffer. fflush forces its flushing to the file descriptor, and so on. But we're talking about Python here, not C. So how does Python translate calls to sys.stdout.write to actual output? Python uses its own abstraction over the underlying file descriptor - a file object. Moreover, in Python 3 this file object is further wrapper in an io.TextIOWrapper, because what we pass to print is a Unicode string, but the underlying write system calls accept binary data, so encoding has to happen en route. The important take-away from this is: Python and a C extension loaded by it (this is similarly relevant to C code invoked via ctypes) run in the same process, and share the underlying file descriptor for standard output. However, while Python has its own high-level wrapper around it - sys.stdout, the C code uses its own FILE object. Therefore, simply replacing sys.stdout cannot, in principle, affect output from C code. To make the replacement deeper, we have to touch something shared by the Python and C runtimes - the file descriptor. # The original fd stdout points to. Usually 1 on POSIX systems. """Redirect stdout to the given file descriptor.""" There are a lot of details here (such as managing the temporary file into which output is redirected) that may obscure the key approach: using dup and dup2 to manipulate file descriptors. These functions let us duplicate file descriptors and make any descriptor point at any file. I won't spend more time on them - go ahead and read their documentation, if you're interested. The detour section should provide enough background to understand it. The output order may not be what we expected. This is due to buffering. If it's important to preserve order between different kinds of output (i.e. between C and Python), further work is required to disable buffering on all relevant streams. You may wonder why the output of echo was redirected at all? The answer is that file descriptors are inherited by subprocesses. Since we rigged fd 1 to point to our file instead of the standard output prior to forking to echo, this is where its output went. We use a BytesIO here. This is because on the lowest level, the file descriptors are binary. It may be possible to do the decoding when copying from the temporary file into the given stream, but that can hide problems. Python has its in-memory understanding of Unicode, but who knows what is the right encoding for data printed out from underlying C code? This is why this particular redirection approach leaves the decoding to the caller. The above also makes this code specific to Python 3. There's no magic involved, and porting to Python 2 is trivial, but some assumptions made here don't hold (such as sys.stdout being a io.TextIOWrapper). We've just seen that the file descriptor duplication approach lets us grab the output from child processes as well. But it may not always be the most convenient way to achieve this task. In the general case, you typically use the subprocess module to launch child processes, and you may launch several such processes either in a pipe or separately. Some programs will even juggle multiple subprocesses launched this way in different threads. Moreover, while these subprocesses are running you may want to emit something to stdout and you don't want this output to be captured. So, managing the stdout file descriptor in the general case can be messy; it is also unnecessary, because there's a much simpler way. 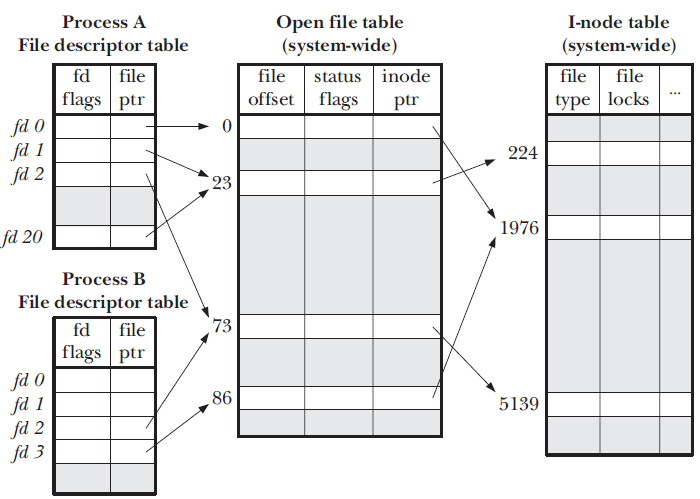 The subprocess.PIPE argument can be used to set up actual child process pipes (a la the shell), but in its simplest incarnation it captures the process's output. check_output will capture and return the child's standard output to you; it will also raise an exception if the child exist with a non-zero return code. I hope I covered most of the common cases where "stdout redirection" is needed in Python. Naturally, all of the same applies to the other standard output stream - stderr. Also, I hope the background on file descriptors was sufficiently clear to explain the redirection code; squeezing this topic in such a short space is challenging. Let me know if any questions remain or if there's something I could have explained better. Finally, while it is conceptually simple, the code for the redirector is quite long; I'll be happy to hear if you find a shorter way to achieve the same effect. Do not despair. As of February 2015, a sizable chunk of the worldwide Python programmers are in the same boat. Note that bytes passed to puts. This being Python 3, we have to be careful since libc doesn't understand Python's unicode strings. The following description focuses on Unix/POSIX systems; also, it's necessarily partial. Large book chapters have been written on this topic - I'm just trying to present some key concepts relevant to stream redirection. The approach taken here is inspired by this Stack Overflow answer.